The managers of an 87-year-old government building in Pittsburgh have a challenge: reduce the amount of rainwater that runs off the roof. Allegheny County officials are facing an expensive wastewater system upgrade, and they hope reducing stormwater will help reduce the severity of Combined Sewage Overflows (CSO). A few months ago, they settled on a green roof solution, a plan to cover one half of the building’s roof with boxes of plants settled in a growing medium. The area is as wide as a basketball court and twice as long. 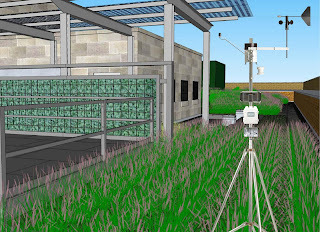 In April, 2010, they began to build the green roof, and chose to equip the new roof with web-based weather stations from Massachusetts-based Onset to monitor its performance. Monitoring the green roof’s success in reducing runoff is critical to the project, according to Darla Cravotta, the special projects coordinator with Allegheny County. “We can’t talk about the benefits of a green roof without monitoring it,” says Cravotta. “But when we have data, we can encourage other people to build green roofs,” she said. Allegheny County has a team of four companies working on the project, which is being funded through the Department of Energy’s American Recovery and Reinvestment Act (ARRA). The project team includes Cuddy Roofing, Eisler Landscapes, IVC Architects, and Civil & Environmental Consultants, Inc. (CEC). The first three companies are working on designing and building the green roof, while it will be up to Pittsburgh-based CEC to monitor a multitude of data points over the next six years. 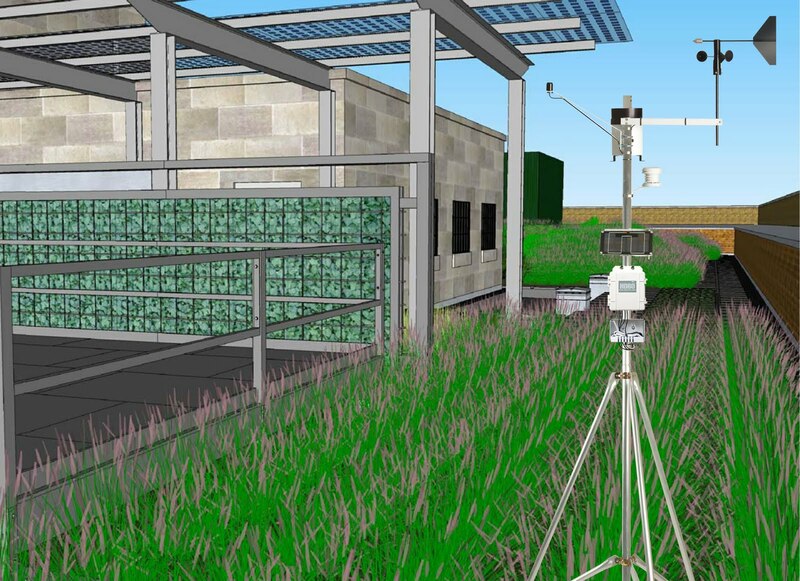 John Buck of CEC will use the eight Onset HOBO U3O weather stations with approximately 90 sensors to track soil temperature, soil moisture, runoff duration, wind speed, wind direction, air temperature, relative humidity, and solar radiation. It’s not the first time Buck has used Onset devices in a project. In a 2005 job, for example, he used Onset data loggers to track data for an alternative soil cap study at a solid waste disposal site. “We had a pretty hot setup for the time,” Buck said. “We created a 900 MHz network that relayed data and emailed me three times a day.” But that system had weaknesses that the U30 devices have overcome, he said. Originally, Buck wanted to use Wi-Fi communications for all eight weather stations. “But it turns out that Wi-Fi did not transmit through the roof,” he says. Instead, he put two Ethernet-enabled U30s inside the government building and placed an access point on the roof so the other six Wi-Fi devices up there could communicate. Buck is using Onset’s HOBOlink web server as a data repository and a way to monitor the system remotely, sensor-by-sensor. The stations will also be used to detect humidity spikes in several roof areas. The county administrators acknowledged that the 1923 building already had a history of roof leaks, a problem that could be made worse by putting structures up there. “There are people who are understandably nervous about more roof leaks,” Buck said. Civil & Environmental Consultants, Inc. (CEC) is involved in sustainable design and alternative and renewable energy. Established in Pittsburgh and celebrating its 21st year in business in 2010, CEC is a national, multidisciplined consulting firm providing a diverse scope of consulting services from 11 regional offices. a new Austin, Texas office. This is a third location for the company. by committing a full-time staff person to the region." Engineering from Kettering University in Flint, Michigan. food industry, ice arenas and college/universities. Skelly and Loy staff members recently attended the Pennsylvania Department for Environmental Protection's (PA DEP) regulatory training for the oil and gas industry. Terry Schmidt, P.E., Matthew Lock, C.P.G., P.G., Deborah MacAllister, P.E., and Bryan McConnell, P.G., were among the more than 600 attendees at this training. The training focused on permitting efforts within the Marcellus Shale Natural Gas Play in Pennsylvania, with presentations from PA DEP staff, industry representatives (Range Resources and EQT), and even the Pennsylvania State Police. Attendees listened to a variety of topics ranging from Erosion and Sediment Control General Permit (ESCGP-1) practices, Dam Safety for a Centralized Impoundment for Marcellus Gas Wells Provisions, Form 26 R - Chemical Analysis of Residual Waste Annual Report by Generatorcompletion and processing, OG71 - Request for Approval of Alternative Waste Management Practices, Protecting Streams and Wetlands, Spill Reporting Requirements, and Water Management Plan. Based in Harrisburg, PA, Skelly and Loy offers services in mining and environmental research, planning, and design. The privately owned corporation with five Mid-Atlantic offices provides professional engineering and environmental services to various industries and businesses, government, and the private sector throughout the United States and abroad. Fort Hood calls itself the largest active duty armored post in the United States with nearly 45,000 service members. The Texas installation is proud to provide high quality housing for soldiers and their families and has committed to a five-year (2008-2013) Whole Barracks Renewal Project that will provide new, modern, and comfortable accommodations. PBS&J Constructors, doing business as Peter R. Brown Construction, recently won a $32.3-million design-build contract with the U.S. Army Corps of Engineers, Fort Worth District, for a 3-story, 240-unit modular building, which will be occupied by 480 enlisted soldiers when completed in April 2011. Each unit will contain a shared common space with a full-service kitchen, dining room, two bedrooms, and a bathroom. Each floor of the building will have a shared laundry area. In addition, the building will have a common office and lobby area with an entertainment room. The new barracks will comply with Leadership in Energy and Environmental Design (LEED) requirements. A silver rating under LEED’s Green Building Rating System is planned. Of note are efficiency practices including: reduction of stormwater runoff from the site that would increase storm load on nearby streams and rivers; utilization of recycled metal, glass, and plastic during construction; and reduction of energy consumption by at least 30 percent below the Standard 90.1-2007 set by the American Society of Heating, Refrigerating and Air-conditioning Engineers. Peter Brown Construction will serve as the general contractor for the project. The design is a collaboration among the various disciplines within The PBSJ Corporation, including architectural, structural, mechanical, plumbing, electrical, and interior design. PBS&J Constructors Inc., a wholly owned subsidiary of The PBSJ Corporation, was established in 1997 to deliver at-risk construction management services to public and private clients with horizontal and vertical construction needs. The company brings together the engineering, design, construction, and technology resources of The PBSJ Corporation to deliver customized services. Peter R. Brown Construction, Inc. provides comprehensive construction management and design-build services to public and private clients primarily throughout the southeastern United States. With more than 150 employees located in 11 offices throughout Florida and Georgia, Peter Brown Construction is ranked as one of the top 400 contractors in the nation by Engineering News-Record. IBE Consulting Engineers (IBE), an MEP engineering firm, announces the promotion of three staff members to senior positions. The appointments include one new principal to the IBE leadership ranks, Bungane Mehlomakulu, PE, LEED AP, who was promoted from senior associate. The internal promotions also include two new senior associates, Sandra Corazzelli, RA, LEED AP, and Jane O’Neill, both rising from associate positions. Newly minted principal Mehlomakulu joined IBE in 2002, straight out of Queen’s University in Kingston, Ontario, Canada, where he graduated with a Bachelor of Science in Applied Mechanical Engineering degree. A senior mechanical engineer, Mehlomakulu is an expert in leading-edge, advanced technologies, specializing in the design of radiant systems. IBE Consulting Engineers, whose name stands for Ideas for the Built Environment, designs mechanical, electrical, and plumbing systems that achieve energy efficiency, ease of maintenance, system integration, and maximum sustainability. IBE has completed a wide array of project types, including large office buildings, museums, entertainment facilities, libraries, laboratories, film archives, educational facilities, retail buildings, and housing projects. Tim McGrath, a senior principal at Simpson Gumpertz & Heger (SGH) traveled to Uganda recently as part of the Engineers Without Borders-Northeastern University chapter (EWB-NEU). McGrath is the professional mentor to a team of Northeastern students traveling to help the village of Bbanda to establish the Water Board that will lead to water system construction and then oversee the system’s operations and maintenance. “Sustainability is the key with these types of projects,” McGrath says, noting that the Water Board’s oversight is a critical element in the project’s long-term viability. Bbanda is about four hours west of Kampala, Uganda’s capital. The team was gone for 10 days. Simpson Gumpertz & Heger Inc. (SGH) is a national engineering firm that designs, investigates, and rehabilitates structures and building enclosures. Its work encompasses building, transportation, water/wastewater, and nuclear/science/defense projects throughout the United States and in more than 30 other countries. SGH has offices in Boston, Los Angeles, New York City, San Francisco, and Washington, D.C.
Dagher Engineering of New York City was recognized with an Engineering Excellence Diamond Award, for a revolutionary net-zero carbon and net-zero energy design for the Housatonic River Museum in Pittsfield, Massachusetts. The award was presented at the American Council of Engineering Companies of New York reception held at the Waldorf Astoria. With a mission to educate the public about the role rivers play in people’s lives and how their actions impact rivers and watersheds, the Housatonic River Museum sought to locate its building on a site adjacent to the river. “Our goal was to take maximum advantage of educational opportunities afforded by the location, while simultaneously minimizing impact on the river and its environment,” says Jenny Hersch, the museum’s founder. To support and surpass that goal, Dagher Engineering provided the museum with a design that resulted in both a net-zero energy and net-zero carbon building. One of the major challenges facing the engineering firm was the small size of the site. While many net-zero buildings today have ample land area to install large numbers of solar panels to provide their energy needs, the Housatonic River Museum was limited to a 12,000 square-foot building with a small lot. Additionally, the museum, which is to be located on the banks of the river, did not want to install solar panels in the floodplains. Instead, Dagher Engineering incorporated highly efficient MEP systems into the envelope and structure of the building, collaborating closely with architect, NYC-based FX Fowle. Dagher Engineering worked closely with the entire design team on all aspects of the building, including: the building envelope; the orientation of the building to the site; placement of the windows on the façade; the green roof; photovoltaics; and solar thermal water heating. Compared with a conventional system, the proposed MEP systems are economical and cost-effective, having an estimated payback period of 8 years. The museum’s expectations were exceeded in terms of the final proposed cost of $2.3 million, including the installation of the photovoltaics and the lighting schemes. This cost was only slightly more than the $2 million originally budgeted for the MEP systems. Founded in 2000, Dagher Engineering, PLLC provides mechanical, electrical, and plumbing-fire-protection design and consulting services to developers, building owners and managers, architects, and contractors in the United States and internationally. In light of Earth Day’s 40th anniversary on April 22, Stantec selected 10 defining moments in the advancement of sustainability during the last 40 years. Evaluated and compiled by a list of company environmental engineers, scientists, buildings experts, and certified sustainability consultants, the list outlines the top moments, accomplishments and thresholds that have most positively impacted society’s ongoing progression in sustainability. 1970 The Year for Sustainability – This year served as a foundation for the modern sustainability movement in several respects, beginning with the inception of the first Earth Day observance. Additionally, 1970 brought the strengthening of The US Clean Air Act (i.e. “the Muskie Law”) the nation’s first environmental law that authorized state and federal regulations to limit emissions from stationary and mobile sources and eventually banned the use of leaded gasoline. 1971 Iconic “Crying Native American” PSA Advertisement – Launched on Earth Day, 1971, the emblazoned image of freeway litter being tossed at the feet of a tearful Native American (played by actor Iron Eyes Cody), left the public inspired during what many consider the beginning of the modern environmental movement. The public service announcement was a product of the Keep America Beautiful campaign. 1972 Clean Water Act – Drawn from the Federal Water Pollution Control Amendments of 1972, this monumental piece of legislation created a series of goals to eliminate the release of several toxic substances into streams, rivers, lakes, oceans, and wetland. 1987 Montreal Protocol – A protocol to the Vienna Convention for the Protection of the Ozone Layer, this international treaty – opened for signature this year – was designed to protect the ozone layer by phasing out the production of a number of substances – such as CFCs in aerosol sprays – believed to be responsible for ozone depletion. 1989 World Wide Web Concept Introduced – English engineer and computer scientist Sir Tim Berners Lee, now the Director of the World Wide Web Consortium, wrote a proposal in March 1989 which included concepts serving as the basis for the World Wide Web. Now a societal hub for interpersonal communication, the web allows for seemingly endless information sharing possibilities to promote sustainable living/working practices while dramatically reducing the use of natural resources, namely paper products. 1993 Building Green: A Certified Practice Begins – The creation of the US Green Building Council this year – now the preeminent authority on sustainable building – paved the way for the Canadian Green Building Council, the World Green Building Council and, most importantly, the Leadership in Energy and Environmental Design (LEED) certification which now serves as the sustainability gold standard in certifying buildings and professionals. 2000 Global Sustainability Reporting Becomes Reality – From foundations earlier laid by organizations such as Ceres, the creation of the Global Reporting Initiativeand The Carbon Disclosure Project provided the global community with measurable networks and reporting on the impact of environmental issues and practices from the corporate community. 2007 Al Gore Awarded Nobel Peace Prize – In the wake of Gore’s reception of this award, global awareness for issues related to climate change and general “green” philosophies reached new levels. Sustainability earned its niche as a commonplace term, as evidenced by the Oxford English Dictionary which accepted the phrase “carbon footprint” that same year as an established part of the English vernacular. Stantec provides design and consulting services at every scale of the built, natural, and organizational environment, including policy planning, building performance, community and land planning, energy and resource management, climate change and natural systems. Stantec’s staff includes more than 480 LEED accredited professionals and its portfolio features nearly 100 LEED-certified projects, including 15 LEED Platinum projects. 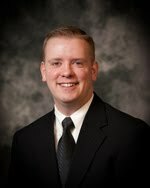 Bonestroo associate John Briggs has been named team leader in the firm’s Libertyville, Illinois office. In this new role, Briggs will manage Illinois operations and direct his staff of 20 professionals on government and private projects. Briggs has been with Bonestroo since 1994. With more than 15 years of progressively challenging roles, his background includes a wide range of projects for both private and government clients. Briggs has specialized in the planning, design coordination, and construction management of various public capital improvement projects, including street resurfacing and reconstruction projects, water distribution and sanitary sewer system upgrades, stormwater management projects, street lighting, parking lot/streetscape improvements and bicycle paths. 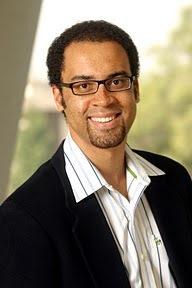 Briggs is a graduate of the University of Illinois, where he earned a bachelor’s degree in civil engineering. He is a registered professional engineer in both Illinois and Wisconsin, and is actively involved in the American Public Works Association (APWA). Ranked 209th nationally in Engineering News Record’s list of Top 500 Design Firms, Bonestroo is a full-service engineering, planning, and environmental science firms. The firm provides solutions to the government, private, energy, and industrial markets. Service areas include engineering; surveying and construction services; water and natural resources; transportation; planning; development and redevelopment; permitting, inspection and compliance; and recreation. Bonestroo’s merger with Northern Environmental enables the firm to provide additional services in compliance and industrial hygiene, property assessment and brownfield redevelopment, and contaminant investigation and remediation. Bonestroo has 12 offices throughout Illinois, Wisconsin, Minnesota, Michigan and North Dakota. "She" is the Litoff Building, a keynote facility on the campus of Oberlin College in Ohio. Stevie Wonder wrote "Isn't She Lovely" about his newborn daughter, a befitting song for the dedication of the Litoff Building. Wonder is among the artists who performed during the building's opening celebration in April. This signature building will house the Oberlin Conservatory of Music's nationally recognized Department of Jazz Studies. It will also include a state-of-the-art recording studio and the largest privately held jazz recording collection in the United States, which will likely include Wonder hits. KS Associates in Elyria, Ohio had the distinct pleasure of working with architects Westlake Reed Leskosky (WRL) on the project. Their role was to provide civil engineering and surveying services, specifically addressing site issues such as grading, parking, utilities and stormwater management facilities. The firm thanks WRL for the opportunity to participate on this important project -- "from the bottom of our hearts" (of course, another Wonder chart-topping hit). As a manufacturer of precision-machined products, Reno Machine Company announces they have acquired Design Company, Inc./DECO, an engineering services provider for the aerospace, commercial, industrial, and military industries headquartered in Collinsville, Connecticut. Ron Morris will continue to serve as president of Design Company, Inc., providing DECO customers stability in their relationship and Reno customers an additional point of contact for engineering services. In operation for two generations since 1962, DECO provides engineering services for a wide range of commercial, industrial, and military customers. Along with the in-house capabilities and CAD systems maintained – CATIA V4 & V5, Unigraphics NX, SolidWorks – DECO also provides temporary technical staffing for client projects on-site at customer facilities. Reno Machine Company is a contract manufacturer of precision-machined products for a wide variety of markets, including aerospace, industrial gas turbine, nuclear, medical, and military. The company is a specialist in tooling for composites. From its 68,000-square-foot facility in Newington, Connecticut, Reno can handle projects that range from a simple operation on a critical component, to design, fabrication and machining of complex assemblies. McMahon Associates, along with subconsultants KMJ Consulting and Gilmore & Associates, was selected by the City of Philadelphia Department of Streets to provide a comprehensive study of the existing traffic signals on 21 corridors, including over 600 intersections, and to provide engineering services for the retiming of these traffic signals. The effort aims to reduce congestion by improving the flow of traffic through the optimization of the traffic signals along the selected corridors. As the prime consultant on the project, McMahon Associates will perform and lead the before and after travel time studies, traffic volume data collection, and capacity analysis for retiming of signals and will prepare work orders for the City to use in implementing the timing changes. McMahon Associates’ mid-Atlantic offices are located in Fort Washington (corporate headquarters), Exton, Camp Hill, and Pittsburgh, PA; Yardville, NJ; and Bowie, MD, and combined currently employ nearly 100 of the company’s 120 full-time employees. It also has two offices in Florida and two in New England. McMahon’s primary services include transportation planning/traffic studies, traffic signal design and permitting, highway design and permitting, structural design, intelligent transportation systems, geographic information systems/custom software development, land survey, dam design, water resources, and construction services for public and private clients. Baxter & Woodman, Inc., Consulting Engineers is pleased to announce the promotion of Senior Engineer Derek Wold, PE to water/wastewater group leader. Wold has been a member of the Baxter & Woodman team since 1996. He earned a Bachelor of Science degree in Civil Engineering from the University of Illinois at Champaign-Urbana and a Master of Science in Environmental Engineering from Illinois Institute of Technology. 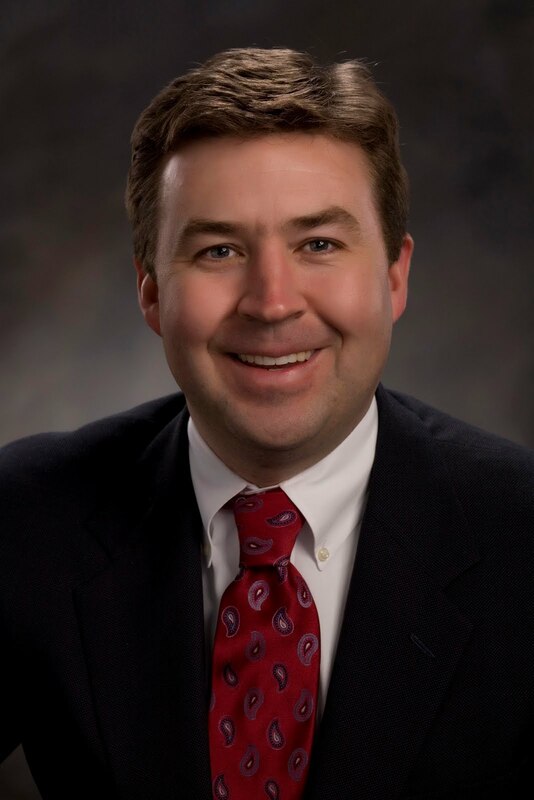 Wold secured his Professional Engineer License in 2001 and most recently co-managed the firm’s Wastewater Department. As the water/wastewater group leader, Wold will oversee the Water, Wastewater, Operations and Infrastructure Departments. Baxter & Woodman is an employee-owned Engineering News-Record Top 500 Design Firm that provides planning, design, construction, and technology services for water, wastewater, stormwater and transportation facilities for municipalities, counties and state agencies. Environmental, geographic information systems (GIS), water and wastewater operations, and advanced technology needs complement the firm’s civil engineering expertise. Clients are served from nine regional offices in northern Illinois and southern Wisconsin. Parsons Brinckerhoff (PB) is celebrating its 125th year as a New York City-based international engineering firm. In 1885, William Barclay Parsons established a consulting engineering practice at 22 William Street in Lower Manhattan. Since then, PB has continued to play roles on transportation, power, buildings, and environmental projects throughout the world. Today, the firm is a strategic consulting, planning, engineering and program/construction management organization with approximately 14,000 employees in 150 offices on 6 continents. During its 125-year history, PB has participated in the development of the first mass transit systems for New York City, San Francisco, Atlanta, Taipei and Singapore; the advancement of immersed-tube tunnel technology; and various innovations in the design and construction of bridges. Recent and current PB projects include the Kanchanaphisek Bridge in Bangkok, Thailand, opened in November, 2007; the new Woodrow Wilson Bridge outside Washington, D.C., dedicated in May, 2008; the Epping-to-Chatswood Rail Link in Sydney, Australia, opened in February, 2009; the Central Link light rail in Seattle, Washington, opened in July, 2009; the ongoing Medupi Power Station in South Africa; the ongoing Chicago O’Hare International Airport Modernization Program; and the ongoing Building Schools for the Future program in Newcastle, UK. One of the first undertakings of Parsons’ new venture was the design of a subway system for New York City in the 1890s. And from the first IRT line, which opened in 1904, to the current extension of the No. 7 line and the new Second Avenue Subway, PB’s service to the New York City subway system has spanned its entire 125-year history. Today, PB is the primary designer of the project to extend the No. 7 subway line from Times Square to 34th Street and Eleventh Avenue. The firm is also providing construction management services on the Second Avenue Subway, which will initially provide operating service between 96th Street and 63rd Street. Similarly, PB’s long service to the Bay Area Rapid Transit (BART) system began in 1953 with a feasibility study that recommended a system of heavy rail mass transit for the San Francisco Bay Area. Beginning in 1959, PB served BART as part of general engineering consultant (GEC) joint ventures for development of the initial 71-mile (114-kilometer) system as well as the 30-mile (48-kilometer) BART extensions program, including the 8.7-mile (14-kilometer) long, four-station San Francisco International Airport Extension, which opened in June 2003. Today, PB is GEC for the 5.4-mile (8.7-kilometer) Warm Springs Extension, which will bring BART southward from Alameda County to the edge of Santa Clara County. For 40 years, PB also worked closely with the Metropolitan Atlanta Rapid Transit Authority in Atlanta, leading four distinct GEC joint ventures to develop a system that today includes 48 miles (77 kilometers) of rail and 38 stations fully integrated with a 1,500-mile (2,400-kilometer) bus network. PB has also played an integral role in pioneering mass transit projects in Asia. In 1986, Taipei’s Department of Rapid Transit Systems approved the initial network of four heavy rail lines and a medium-capacity line, and PB led a GEC joint venture for the planning, design and construction management of that network. Ground was broken in 1988, and in 1996 the Muzha Line opened as the first driverless medium-capacity rapid transit line in Taiwan. It was followed a year later by the opening of the Danshui Line, the country’s first heavy-capacity rapid transit line. PB has continued to support the Taipei MRT, and in 2009 completed a three-year project management support assignment for a 9-mile (15-kilometer) extension that brought the Muzha (renamed Wenshan-Nehui) Line to Neihu, the last of Taipei’s districts to have rapid transit. For more than 40 years, PB also has been involved in Singapore’s development of one of the most modern, convenient mass rapid transit systems in Asia. PB has been responsible for architectural planning concepts and conceptual design, mechanical/electrical design, and quality control since the onset of the Singapore Mass Rapid Transit (MRT) project in 1967. Since the MRT opened in 1987, PB has been involved in various extensions of the system and is currently providing architectural, mechanical/electrical and civil/structural detailed design for stations, systems assurance and tunnel ventilation system design services for the MRT’s 20.5-mile (33-kilometer) Circle Line. The new underground line encircles Singapore and interchanges with all radial lines leading to the urban center. PB also contributed to the planning, design, construction and commissioning of the Taiwan High Speed Rail, which opened in January, 2007 and allows travel between Taipei and Kaohsiung in 90 minutes on trains that reach speeds of 190 miles (300 kilometers) per hour. Designed by PB, the 1-mile (1.6-kilometer) Detroit-Windsor Tunnel connecting Detroit, Michigan and Windsor, Ontario, which opened in 1930, was only the third subaqueous road tunnel in the United States and served as a model for more than a dozen immersed-tube tunnels to which PB has contributed. Today, PB is the engineer to the joint venture responsible for design, tender preparation and construction supervision for the world’s deepest immersed tunnel to date. Located in Istanbul, the Marmaray Tunnel under the Bosphorus Strait will provide a rail link for a rapid transit system connecting Europe and Asia. While most of the tunnel will be bored through solid rock, the central .9-mile (1.4-kilometer) section will be an immersed tube designed to absorb seismic forces. One of PB’s earliest bridge projects was the railroad bridge over the Cape Cod Canal, which was the longest vertical lift bridge in the world when it opened in 1935. In the succeeding 75 years, PB has applied innovation to the design and construction of hundreds of bridges of all types. In the 1950s, the George P. Coleman Memorial Bridge crossing over the York River near Chesapeake Bay, Virginia held a double distinction as the longest double-swing span in the world at 1,000 feet (305 meters) and as an engineering innovation because it was supported by a foundation of six hollow caissons. In the 1990s, PB studied alternatives for replacing the bridge and prepared a design for a four-lane bridge on the existing caissons. In 1996, six sections of the new superstructure were assembled 30 miles (48 kilometers) away, floated to the site and placed on the caissons in just nine days, marking the first time that a bridge of its size was assembled off-site and floated into place ready to carry traffic. The project won the 1997 Grand Conceptor Award from the American Council of Engineering Companies, the 1997 Roebling Award from the American Society of Civil Engineers and the 1997 George S. Richardson Medal from the International Bridge Conference. More recently, PB has played key roles in the design of cable-stayed bridges in Owensboro, Kentucky; Charleston, South Carolina; and Bangkok, Thailand. PB is currently leading a general engineering consultant joint venture for the Woodrow Wilson Bridge outside Washington, D.C., which was named the Outstanding Civil Engineering Achievement of 2008 by the American Society of Civil Engineers. January 2010 not only marked PB’s 125th anniversary but also a transition in executive leadership, with the appointment of Pierson as chief executive fficer on January 1. The firm also enters its 125th year with new strategic alliances. In October 2009, PB became a wholly-owned subsidiary of Balfour Beatty, an international engineering, construction, professional services and investment firm based in London. The acquisition of PB by Balfour Beatty also led to the integration of Heery International, an Atlanta-based company owned by Balfour Beatty, into PB, adding another nearly 1,000 employees and bringing to PB a respected building design and construction management team. While continuing to look globally for growth, PB maintains its high profile in New York. In addition to its work on the New York subway system, PB continues to contribute to the future development of the region’s transportation infrastructure. PB is leading a joint venture that is designing the East Side Access project, which will bring Long Island Rail Road service (which currently terminates at Penn Station on the west side of Manhattan) to Grand Central Terminal on the East Side. Additionally, PB is part of a joint venture team that is designing the Trans-Hudson Express Tunnel Project, a new underwater crossing of the Hudson River from New Jersey to an expanded Penn Station in New York City. “We designed the first subway here, and more than 100 years later we are still playing a major role in planning, designing, building and maintaining the critical transportation infrastructure this city needs to prosper for the next 100 years,” Pierson said. Entech Engineering, Inc. is pleased to announce that Matthew Boggs, PE, David Brown, PE, CPD, Peter Burns, CEM, and David McNerney have joined Entech . Matthew Boggs, PE, joins Entech as a project manager for the Civil/Environmental Resources Group with 12 years of civil engineering experience designing upgrades to wastewater treatment plants, drip dispersal and spray irrigation systems, municipal engineering, I&I studies, Act 537 studies, sewer planning, and permitting. Boggs will work out of the Lititz, Lancaster County, Pennsylvania office and will use his expertise to expand Entech’s wastewater service capabilities in Lancaster and surrounding counties. A resident of Shillington, he received his Bachelor's degree in civil engineering from Villanova University and is a Registered Professional Engineer, Certified Wastewater Treatment Operator, and Certified Sewage Enforcement Officer in Pennsylvania. David Brown, PE, CPD, joins Entech as a senior project manager with the Facilities Planning and Design Group with over 26 years of facility engineering experience. 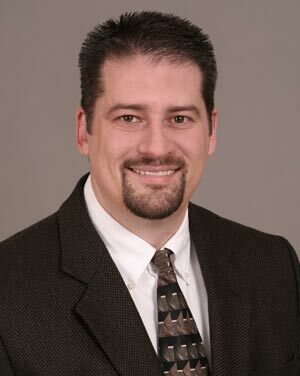 As a resident of Emmaus, Brown received his Bachelor's of Architectural Engineering from Pennsylvania State University and is a Registered Professional Engineer in Pennsylvania, New Jersey, Delaware, and New York. 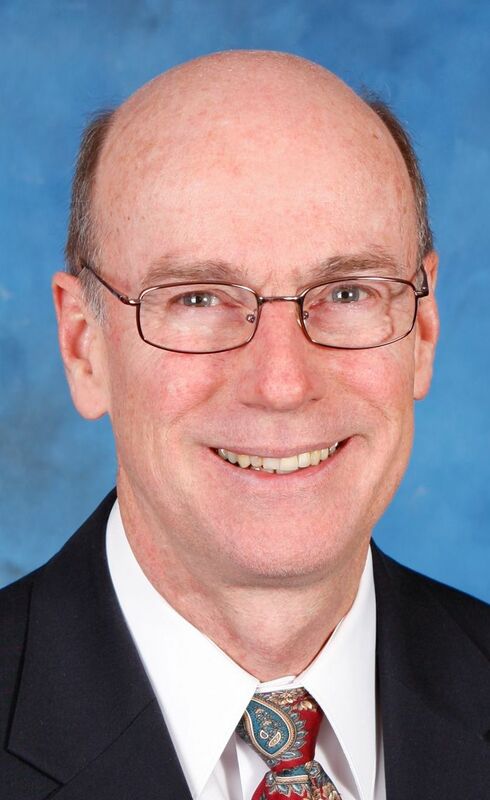 Peter Burns, CEM, joins Entech as manager of energy engineering. He has over 25 years of experience including conducting energy audits and implementing energy conservation measures. A resident of Douglassville, he received his Bachelor of Science in Mechanical Engineering from Union College and completed his HVAC design thesis at Temple University. Burns is a Certified Energy Manager. David McNerney joins Entech as the business development manager for the Civil/Environmental Resources Group. His responsibilities will include expanding and growing opportunities with commercial, industrial, and Marcellus Shale projects for the region. He brings over 20 years of experience in consulting engineering and construction management and eight years as a geologist in the exploration and pipeline business. A graduate of St. Lawrence University, McNerney is a Licensed Professional Geologist in Pennsylvania and a Certified Professional Services Marketer. He resides with his family in Douglassville. Located in downtown Reading, Pennsylvania, Entech is a full-service provider of engineering and architectural services with a strong emphasis on energy and environmentally friendly solutions.